Dr Kamal Singh Dhaliwal is a Clinical psychologist specialising in working with adults and adolescent clients presenting with anxiety, panic, depression, workplace stress, post-traumatic stress, anger and OCD, as well as working with couples experiencing relationship/marital difficulties. Dr Kamal Singh Dhaliwal also has extensive experience in the area of child abuse, neglect and family dysfunction, and routinely conducts psycho-social assessments and prepares reports for the Department of Child Safety and the courts. He is accredited to provide therapy services for WorkCover Queensland, ComCare, Medicare, private health funds, insurance companies and Employee Assistance Schemes (EAS). 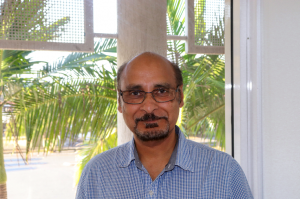 Kamal works from a strong clinical, client-centered eclectic base which includes Psycho-education, Cognitive Behavioural Therapy (CBT), narrative therapy, existential/meaning oriented therapy, and is also trained in Acceptance Commitment Therapy (ACT).